lrt Apr 25 2018 3:22 pm Absolutely made Criminal Minds worth watching for me!!! Great actor!! Carmen Dec 13 2017 1:19 pm He was also playing and in Temptation of an Angel. veegemdoll Nov 04 2017 11:59 am You were absolutely amazing in Criminal Minds! I cried buckets in ep4 because of you! Fullheart5 May 18 2016 12:19 pm Admiration for your body of work. Keep it up. Just finished Chronicles of Evil, fascinating, although I hate sad endings. Daniel Aug 05 2015 7:42 am This ahjussi had a very pure and innocent face (hard to imagine him playing the villain role) so far all the drama that I watch that he cast in he play all the good role. Like him in 3rd day and the chaser. Ananthi Apr 27 2015 4:50 am Fantastic Sir!! Just I have completed to watch "whats up Fox"...what a performance u did it...I laughed...laughed...whenever u enter the scene...Your body language and timing sense,counter dialogues..everything everything suits well...You are fabulous actor..The comic sense naturally comes to you...Thank you for made me laugh...Plz..keep well..
Bernadeth Villegas Feb 08 2015 9:40 am I like the way he played his role in First Wives Club. He has a lot of flair. Even if he does not speak, his eyes act well for him. CICI Mar 09 2014 11:31 pm Hi, Son Hyun Joo, You are one of the main reasons I'm excited to be watching "3 Days". I've seen so many dramas that you are in and right now I'm also watching "The Chaser". You are amazing!!! As some have commented below, I also recommend watching The Chaser...wow! You definitely deserved the awards you received and congratulations. H. I. T. is one of my favorites too. George Lai May 08 2013 4:05 pm I like you a lot, Son Hyun-Joo. You a are superb actor with a fantastic character. Keep up the good work. Gasenadi Dec 24 2012 1:51 pm I'm grateful for those viewers who have recommended The Chaser. It has been one of the most MEMORABLE dramas I have ever seen. I was familiar with Son Hyeon-Ju from other dramas but never as the lead. The themes that run thru the plot are ones that have attracted me to kdrama since my very first one, City Hunter. I will forever carry the lessons of love, hope, struggle, justice, friendship, loyalty, family and faith this drama transmitted. 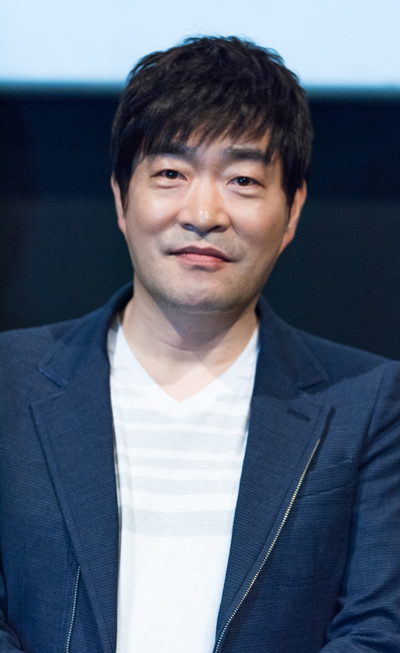 Son Hyeon-Ju was superb as the beleaguered father seeking justice for his daughter. I hope he and the other fine actors, the writer and the director all win awards for The Chaser. Fighting!